← Islamic Emirate: Taking vengeance from the prisoners is the sign of cowardice and downfall!! 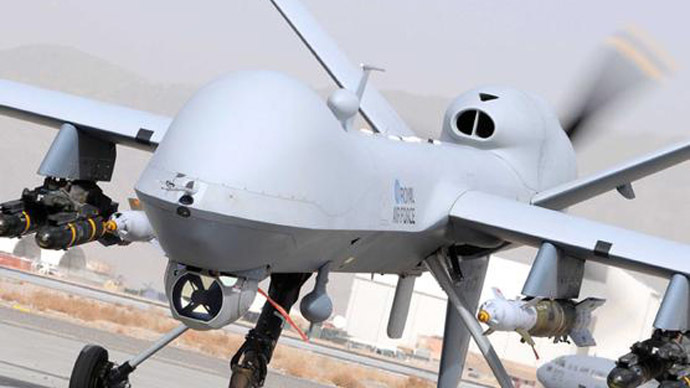 A new report from the Joint Committee on Human Rights (JCHR) also states that the Defence Secretary, in evidence given to the committee, demonstrated a “misunderstanding of the legal frameworks that apply” to the use of armed drones outside of warzones. The report, titled ‘The Government’s policy on the use of drones for targeted killing,’ warns that the UK’s own policy of targeted killing – announced as a “new departure” by the Prime Minister last year – may “end up in the same place as the US policy,” despite ministers’ claims to the contrary. The US covert drone programme, undertaken by secretive agencies such as the CIA, has proved controversial as it is carried out in countries where America is not at war. The programme is estimated to have resulted in the deaths of hundreds of civilians, but is shrouded in secrecy to the point where the US Government has yet to officially acknowledge its existence. It has been described as a “failed strategy” by General Michael Flynn, the former head of the Defense Intelligence Agency under President Obama. Last September, David Cameron announced that a “targeted strike” had been carried out in “a country where we are not involved in a war,” and admitted that this was “the first time in modern times” that this had happened. The British Government has since sought to distance itself from any suggestion that it is following the US model of ‘targeted killing,’ but it refused to answer repeated questions by MPs and the Committee as to whether it, like the US, was maintaining its own ‘Kill List’ of individuals set for targeting. Jennifer Gibson, a staff attorney at international human rights NGO Reprieve who gave evidence to the Committee, said: “This report is a wake-up call. Not only does the committee raise troubling questions about whether the Government ‘misunderstood’ the legal frameworks that apply, but it warns they may be at risk of prosecution for murder as a result.